How to add image light box to flipbook? While designing my page flipping book, can I add an image light box to present my readers with more details? And how can I do that? You can try A-PDF to Flipbook Pro. This amazing page flip software does not only help you convert PDF to flip book, but also allows you to add pop-up image gallery. 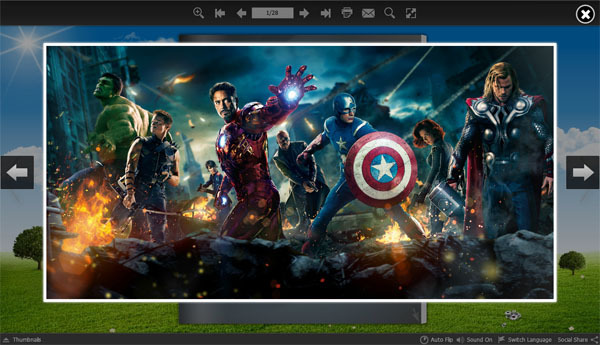 You can display multiple images in the image light box with ease. Third, click on the image you added; and then click "Action Option" under "Image Properties", select "Photo Slideshow" and add images. Click "OK", then "Save and exit" to return to the main interface. 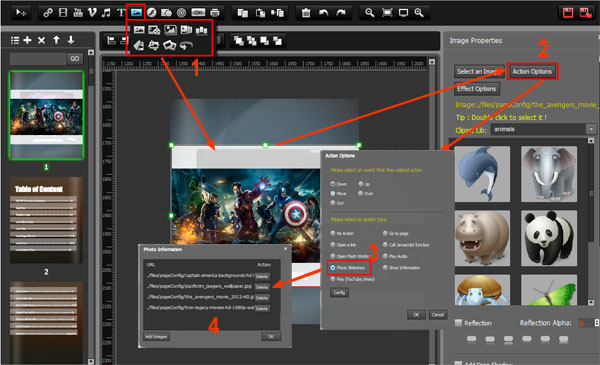 Now, you can click the image to preview the image light box in the software or just click "Publish" to output the flipbook with image light box.